PSI provides software-as-a-service solutions that can reduce procurement work effort in the order of 30%. We utilise secure data systems, exploit the internet’s global reach, and provide auditable and defensible decision-making paths. Vendors are fairly and visibly managed, evaluators are accountable, and time is not wasted in tender development. 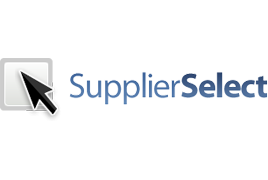 SupplierSelect also allows for on-line procurement requirements development, and can fully meet the cloud policy requirements specified by the Australian Federal Government.